The past became almost an organic and changing state of decay rather than the static moment captured in Neoclassical painting. 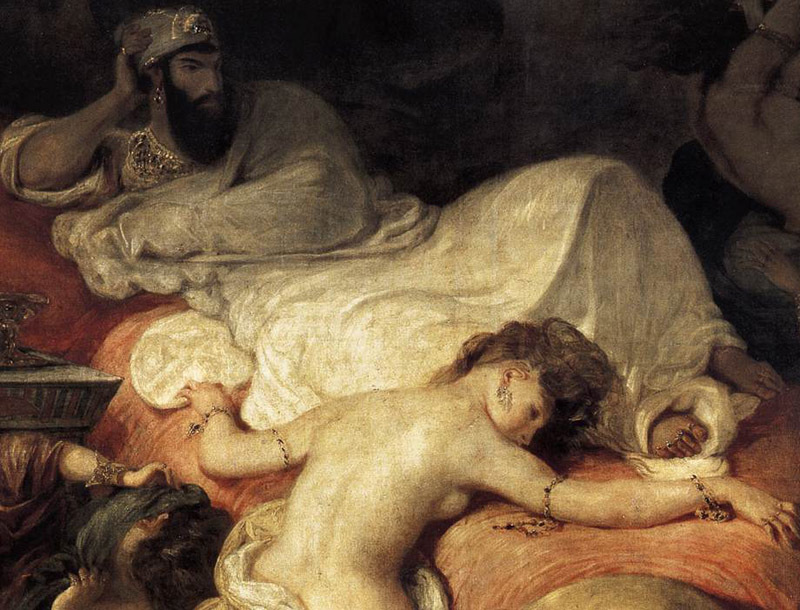 The Death of Sardanapcilus, which illustrates a mythical antiquity with precision and detail, is similar in mood to that evoked by Gustave Flaubert's novel Salammbo (1862), set in ancient Carthage. 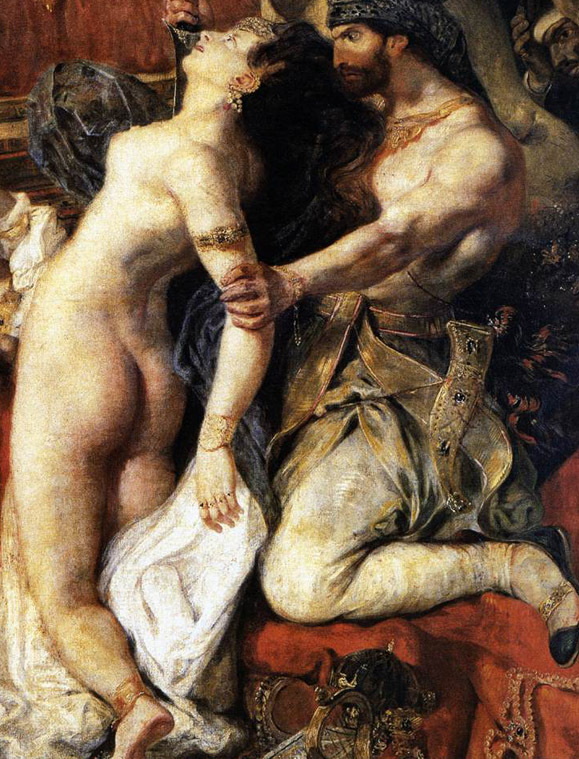 Delacroix expresses the relentless certainty of dissolution and decay; his use of sumptuous decoration is a veneer that conceals the inevitable progress towards death. The painting was harshly criticized for its rejection of French classicism in both subject matter and style, not least its bold and dynamic treatment of colour. Sleep, too, can be seen as a state in close proximity to death. 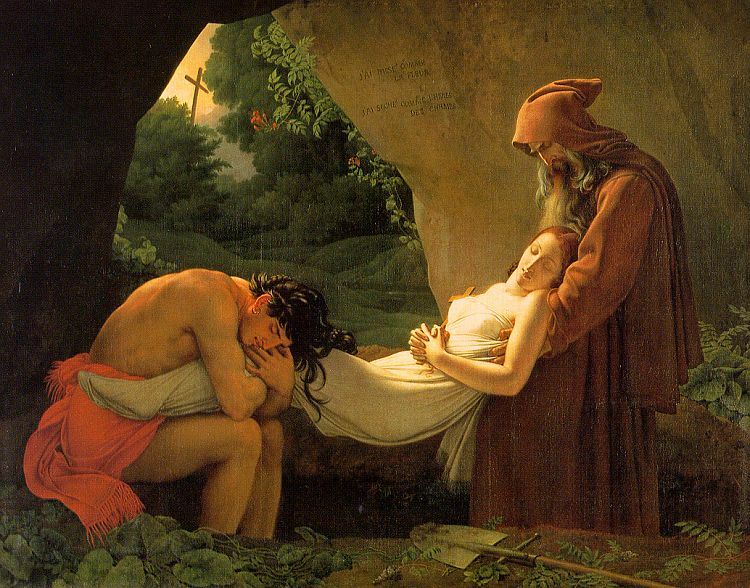 In The Sleep of Endvmion by Anne-Louis Girodet-Trioson (1767-1824), the sleeping figure of Endymion, with his young, almost childlike body, is bathed in such an intense light that it seems it could almost consume him - a reminder of the closeness of the state of sleep to that of death. His interpretation, a reminder of the fleeting mortality of both individuals and society, contrasts with the earlier Neoclassical idealization of the past through myth. The American historical painter Benjamin West (1738-1820) returned many times to the theme of death and was successful in portraying contemporary scenes of war and destruction with the pathos and heroism of a classical tragedy, while still investing his work with an immediacy and contemporary relevance. 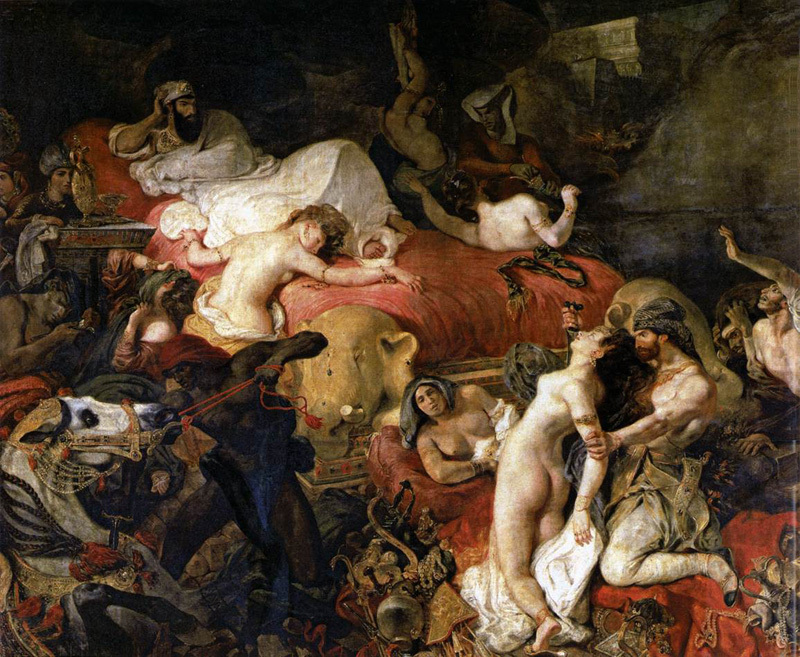 His apocalyptic Death on a Pale Horse, was important in the Romantic movement, and it was hailed as prefiguring Delacroix. West settled in London in 1763, and became the most successful historical painter of his day, enjoying a profitable association with George III. He succeeded Reynolds as President of the Roval Academy in 1792.